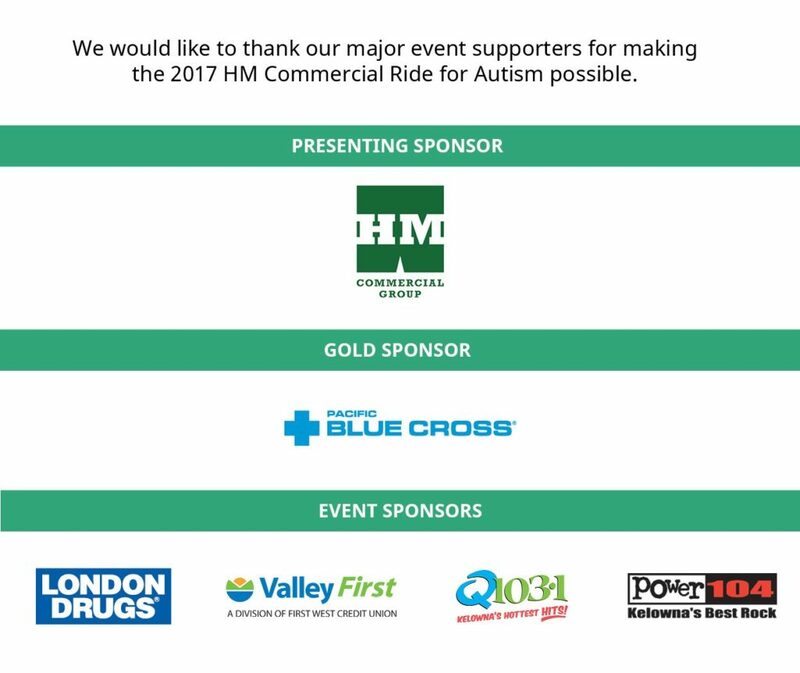 Join us for the HM Commercial Ride for Autism in support of the Canucks Autism Network on Sunday, September 10th, 2017! This fun-filled day of cycling will start and end at Summerhill Pyramid Winery and take you through the orchards and wineries of the Okanagan, complete with team challenges and wine tastings. The event has four levels of participation including Expert, Intermediate, Beginner and Family. Whether you are 9 or 99, there is a level of participation just for you! After the ride, join us for a celebratory dinner catered by Urban Fare, where you can win prizes, and bid on fabulous items in the silent auction. Event proceeds will directly support Canucks Autism Network’s sports and recreation programs for children and families living with autism here in Kelowna. *Note: if you would like to be added to the Dinner portion of the event, there will be an additional fee of $30 per person over the age of 12 for Family Class riders. This fee is for waitlist only to ensure that all riders can be accommodated. Wait listed guest spaces will be notified and booked one week prior to the event date. Please contact Kayla at [email protected] to be added to the wait list. The race will take place between 1PM and 5PM followed by dinner from 5:30 – 9PM.